A while ago Malin, one of our Slovenian readers, asked me if green is one my favourite colors. Well, I love almost all colors and right now green may be one of my favourites. Malin suggested that my green eyes would stood out more with purple make-up. What can I say? She may be right, but I’m not in purple mood right now and I just can’t bring myself to wear purple. I also don’t wear green all the time. Absolutely not! It just happens that I post a lot of green make up looks here. :D And here are two more. In my defence, these make ups are one month old. I didn’t have the time to post them yet. Unfortunately this means that I don’t remember which products I used. 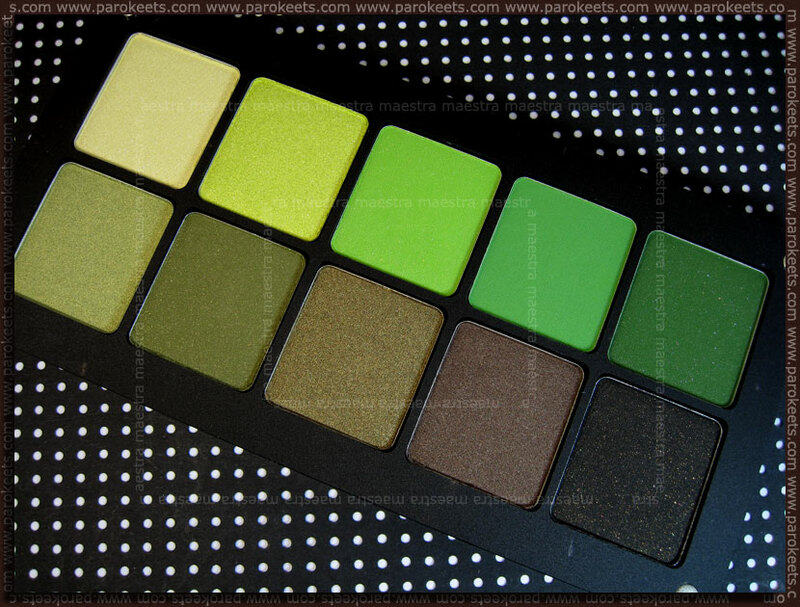 First one is more toned down green look, with light golden green and a bit of brown eyeshadows. Special thing about this look are the false eyelashes. These are the same lashes I reviewed in my previous post (Eldora C107 lashes). Don’t they look nice? I’m wearing OPI’s The It Color on my nails in the photos above. I remember I used the Inglot eyeshadows for the next look. Eyeshadows are from this Inglot palette, which I bought in NYC. *Eldora false eyelashes were sent to me for review. The second look is totally me :) It’s perfect on you too! Ne nikakor ni preveč zelene. Super MU-jota :w00t: :haha: :haha: in manikuri. Kot ponavadi vse izgleda odlično!!!!! Zeleno,oh kako te ljubim zeleno! In manikura pri drugem MU-ju je prekrasna. :wub: .